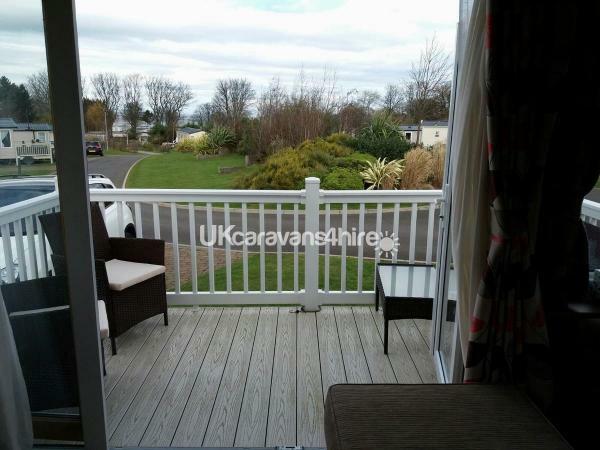 8 berth, 3 bedroom Swift Abi St David static caravan with decking located in the luxurious Golf Village at Seton Sands Haven site, about 13 miles from Edinburgh. 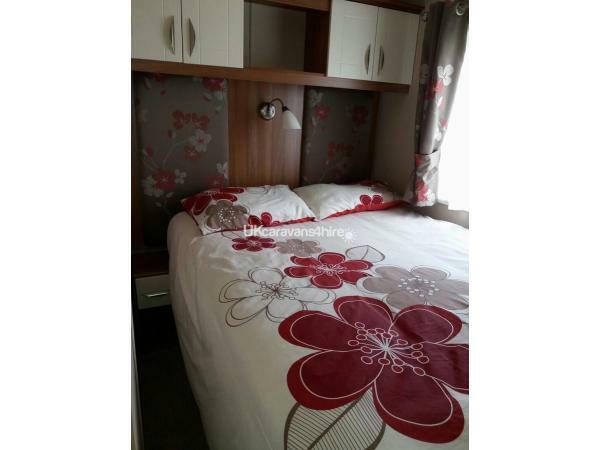 Bedroom 1- Double Bed with en suite and Storage. Bed 2- 1 Double Bed with storage. Pullout Double sofa Bed in lounge. Seton Sands has a 9 hole golf course on site and there is loads to do with Edinburgh, Gullane and North Berwick at either side of you. Superb Golf courses and gorgeous beaches make up most of the entire coastline. Pub quizzes, Karaoke, swimming pool, arcades, shows in the bar, a separate restaurant / pub, archery for kids and adults, swing park plus more to fill your time. Thanks for visiting and if you have any questions or would like to arrange a booking, feel free to get in touch. 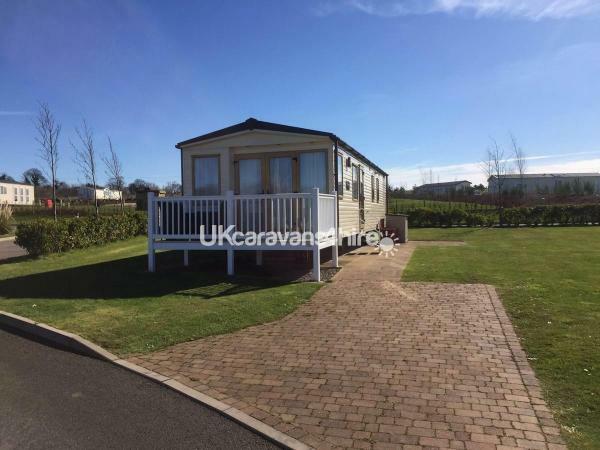 Just stayed in the caravan for a week with my partner and 3 small children.fantastic site and caravan perfect location nice and quiet at night very good sleep.kids loved the entertainment and the swimming on the complex.craig the owner was brilliant from start to finish.thank you and we will be booking again. Thanks David, glad to you all had a great time. Hopefully see you again next year, thanks Craig. Thanks a lot Martha, I'm glad the kids enjoyed it and hopefully we can welcome you back in the future Thanks, Craig. Fantastic week we had , facilities were great and an ideal location. 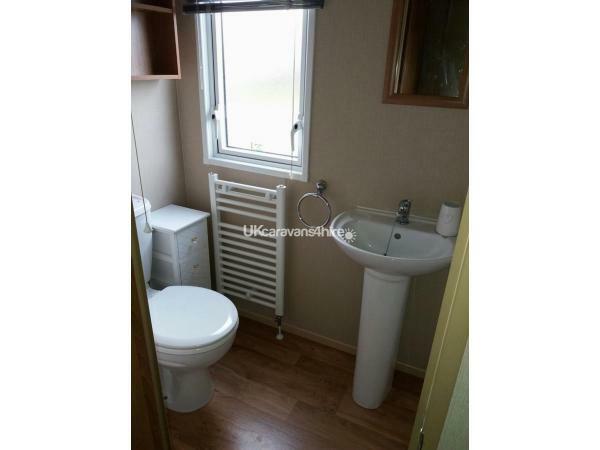 Caravan had plenty of space and was spotless . Overall a great week enjoyed by the whole family and will certainly use this again in the future. Thanks again ???????? Cheers Johnny, welcome back any time! Thanks, Craig. 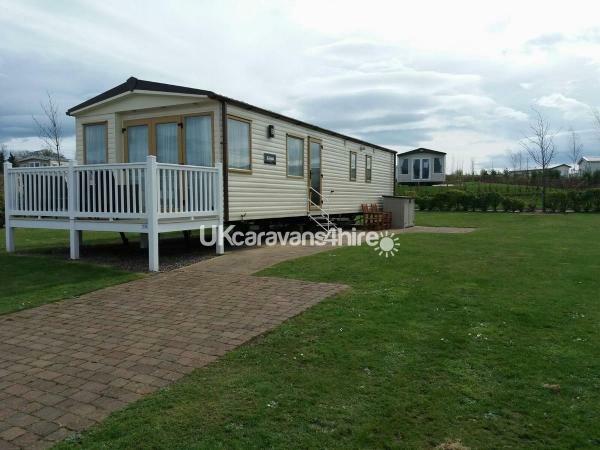 Just back from our stay at this brilliant caravan! Everything on arrival was spotless and tidy, we settled in well, which with 5 children (age 8 and under) is no easy task! Well equipped kitchen if you were to be self catering the whole time, everything you would need! 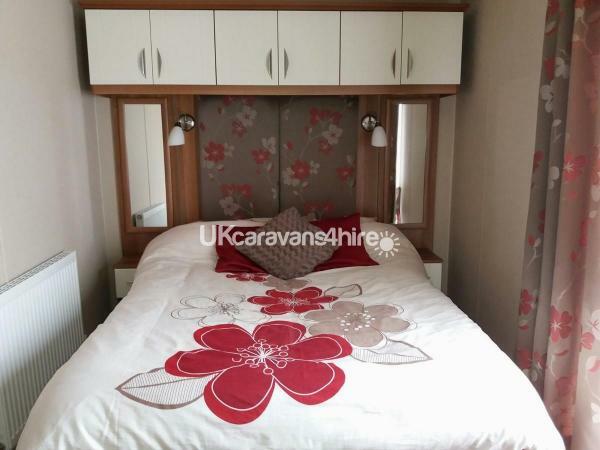 Bedrooms have just the right amount of storage and beds are comfortable. Great selection of DVDs (we brought some of our own too just in case!) for us all to choose from too. Decking at the front is fabulous for watching the sunset and chilling out on! 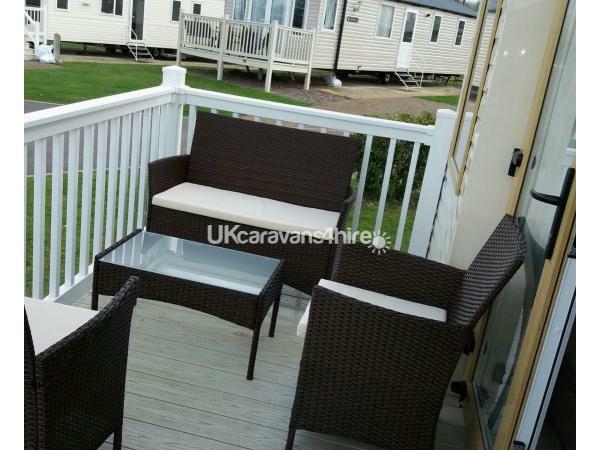 Craig is very attentive, from the minute I contacted him about the booking to after we came home, making sure everything was good for us, happy to answer all my questions and gave us all the information we needed about the caravan and site itself including the entertainment complex! We had a great holiday, and will definitely use Craig’s caravan again if it’s available! Thanks Shara. Glad you had a great time and hopefully hear from you again in the future, Cheers Craig. 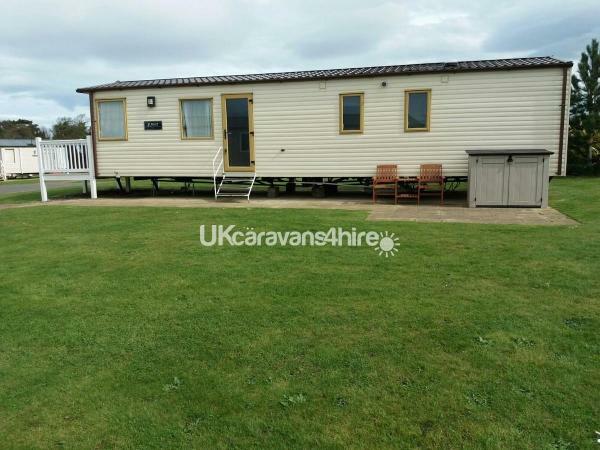 Just back from a 4 night break in this lovely caravan. 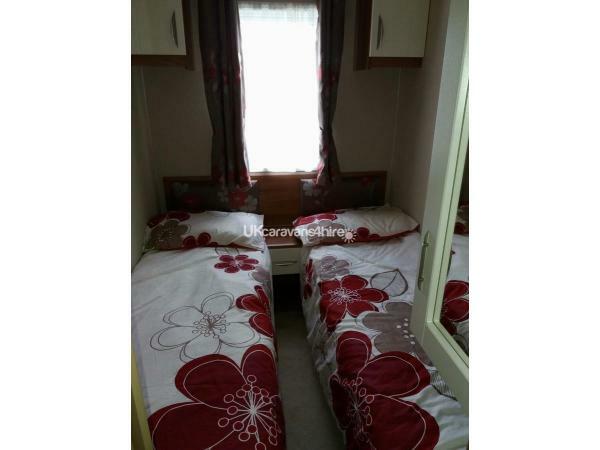 Caravan very clean and comfortable and located in a very nice part of the site. Lots of wee extras in the caravan in case you have forgotten anything. We had a fabulous few days and hope to book another break there soon. Would not hesitate in recommending. Thanks Lorraine. Glad you enjoyed your stay and hopefully the next time you are back, the weather is a bit better! Cheers, Craig. Myself and my family (which included 3 children) stayed here last year and thought it was brilliant. We have booked up for two more trips this year to the same place. The location and facilities are out standing, very family friendly and relaxing. Craig was a great guy to deal with and the caravan is extremely clean. Would highly recommend the location. Thanks Gerard, Looking forward to welcoming you back this year. Cheers, Craig. We stayed in this caravan last summer. 4 adults and 4 children. The owner was ver helpful and informative prior to our arrival. The caravan and surrounding areas were emmaculate. The huge playpark, bar area and swimming pool were brilliant for our under 5 kids. With a beach just a stones through away we couldnt ask for more. I would highly recommend those to couples, families or people on their own as it felt very safe and friendly. Thank you Lisa, looking forward to welcoming you back in July, thanks Craig.